IASCA Worldwide conducts Judge’s and Competitor Training in Indonesia | IASCA Worldwide, Inc.
April 26, 2017 – Daytona Beach FL. 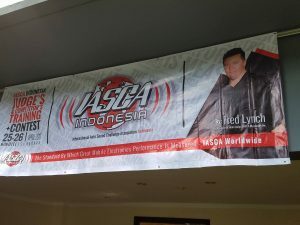 – In the Port City of Surabaya, IASCA Worldwide, along with IASCA Indonesia, held a Judge’s and Competitor training last weekend at the plush Novotel hotel. Twenty-four auto sound enthusiasts, six of whom are staff members, took the two day IASCA Judge’s training and test. IASCA Judge and Trainer Fred Lynch conducted the session which was sponsored by auto sound manufacturer SB Acoustics and Arc Audio. 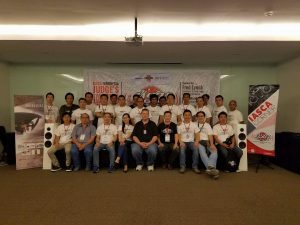 “It’s refreshing to see the passion for car audio in this country” said IASCA President Paul Papadeas, “the interest and passion for car audio all across Asia is astounding. 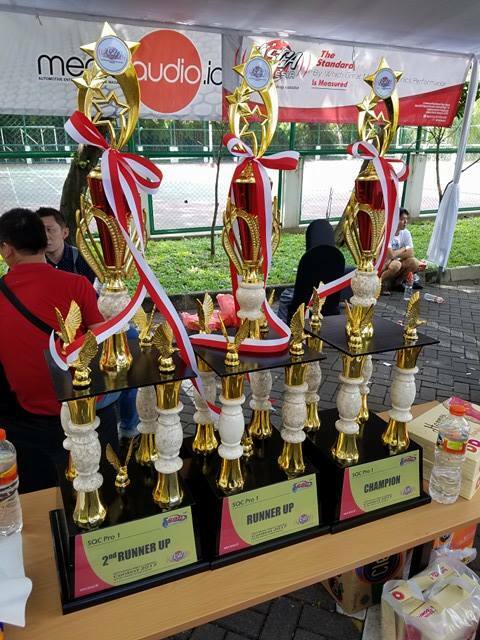 After a period of dormancy, the resurgence of IASCA in Indonesia by its new directors promises escalation in car audio awareness and ultimately sales”. 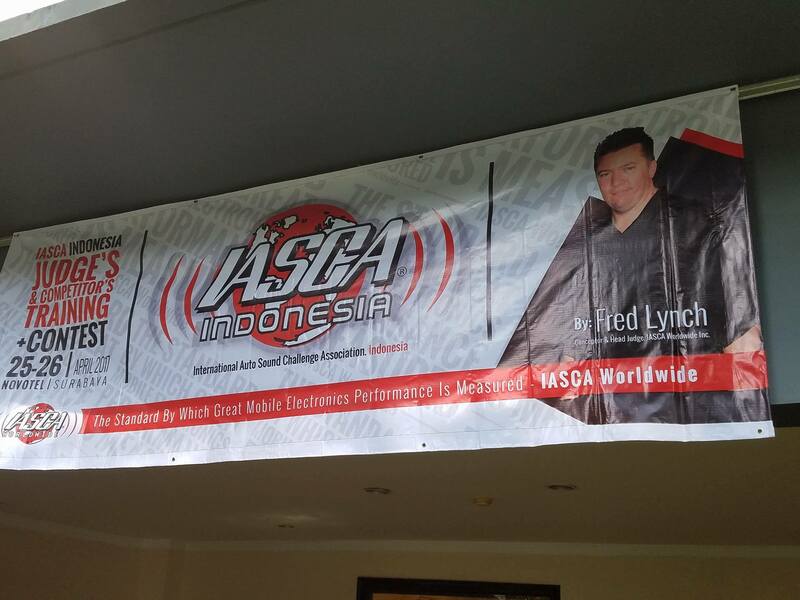 The IASCA Indonesia helm was taken by Mediaaudio.id Director Erik Lim and Managing Director Jaka Sendrawan. Mediaaudio.id is a National Auto Sound Publication. The day after training, Lynch judged an Invitation Only IASCA SQ Competition of Pro and Ultimate Class vehicles; for some, this was a first time experience. “It is the job of all IASCA judges” cites Papadeas, “to not only judge vehicles fairly but to make the process an educational experience, stimulating the competitor’s motivation to embrace auto sound”. “Every car was nothing short of a pure pleasure to listen to while experiencing the emotion, energy and passion of music in every one. 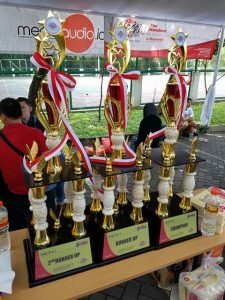 The top 5 cars were all less than 2 points apart in total score with ties in tonality on most of them.” said Arc Audio’s Fred Lynch, “From the first show I ever judged in Indonesia it has been extremely gratifying to hear the difference and growth in experience in the way they tune, present their audio systems and most importantly continue to develop their love for music.”. For more information about IASCA in Indonesia visit www.iasca.id For IASCA Worldwide info visit www.iasca.com or email moe@iasca.com.